HVAR, a town and port on the south-western coast of the island of Hvar; lies in the cove protected by the Paklinski Islands in the south and a low crest in the north; population 3,643. Climate is typically Mediterranean, without major oscillations; 2,715 hours of sunshine a year. An average air temperature in January is 8.4 °C and in July 24.8 °C; the annual rainfall is 789 mm. 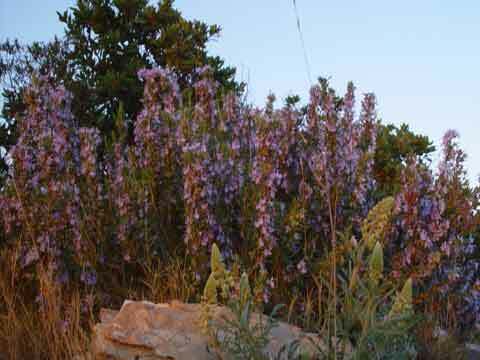 The vegetation is subtropical and very luxuriant (palm trees, myrtle, agaves, laurel, lavender, rosemary, pine trees, stone pines, etc.). 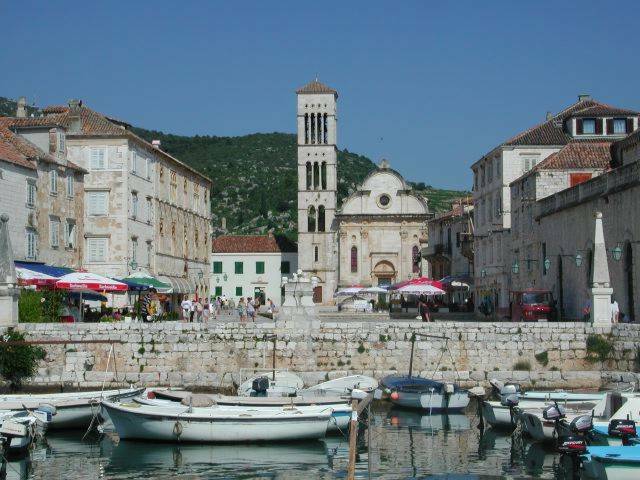 The development of tourism began in the 1920s; today Hvar is one of the most visited tourist centers of Croatia. 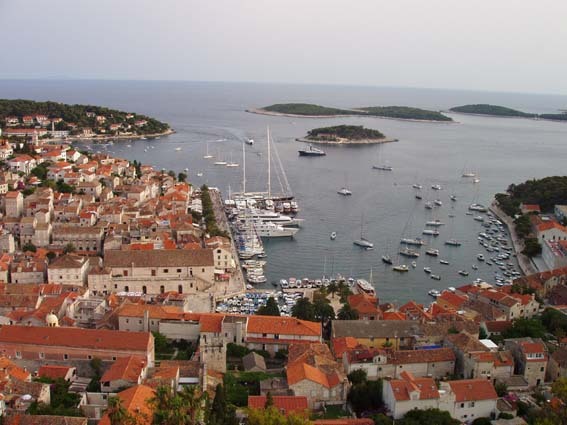 Hvar is located on the regional road running along the entire island. Bus lines connect all major towns and villages (Stari Grad, Vrbanj, Jelsa, etc.). Ferry lines with Split, Rijeka, Zadar, Dubrovnik and major islands of the archipelago. Hvar has an outstanding historical heritage - the cathedral, the Franciscan monastery, the Hvar theatre and the fortresses which offer a beautiful view on the Paklinski Islands and the island of Vis. Sports and recreational opportunities are excellent - tennis, table tennis, basketball, bocce, bowling, water sports. Among interesting souvenirs and products of Hvar one should emphasize a unique kind of lace made of agaves fibres, which may be bought in the monastery of Benedictine nuns, as well as the famous Hvar lavender, either in form of dried flowers or oil, which may be used as a medicine, fragrance or moth repellent, and rosemary oil. 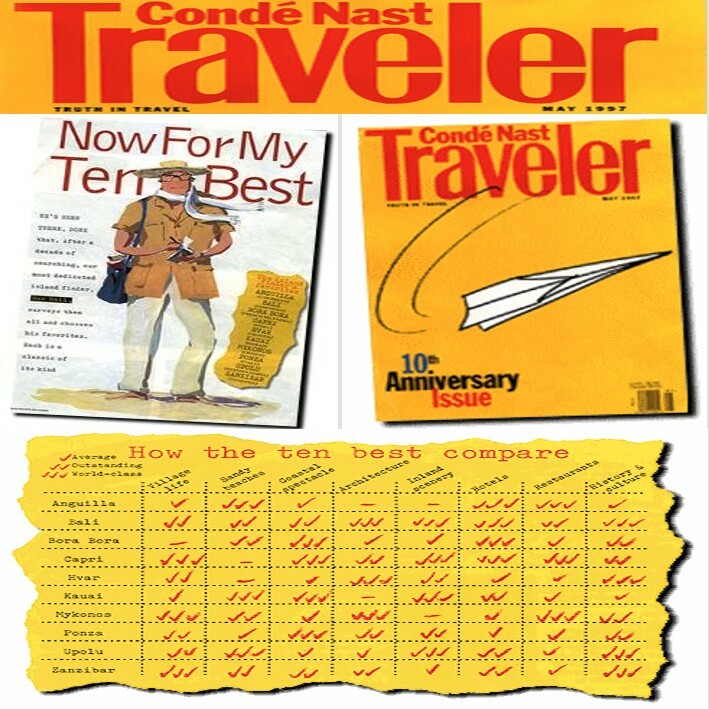 According the magazine "Traveler", MAY 1997 (10th Anniversary Issue) in the article "The ultimate island finder", Ron Hall, The Island of Hvar is chosen as one of Ten Best Islands in the world. As the article says:..."He's been there, done that. After a decade of searching, our most dedicated island finder, Ron Hall, surveys them all and chooses his favorites. Each is a classic of its kind...". 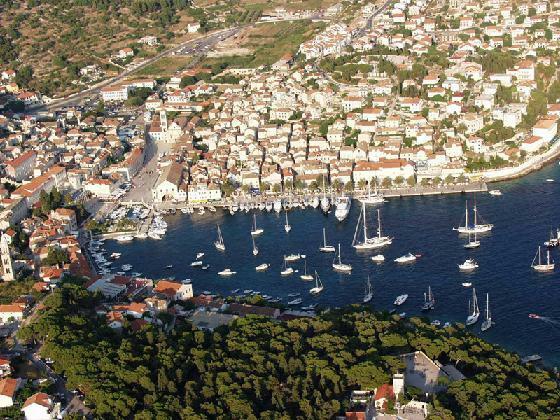 Paklinski otoci are a small but beautiful green archipelago scattered in the blue sea near the town of Hvar. On the largest island there is a tourist marine, a beautiful sandy beach and catering facilities. The greatest part of the islands still consist of the vast and untouched nature and therefore this archipelago presents an unforgettable experience for every boater. 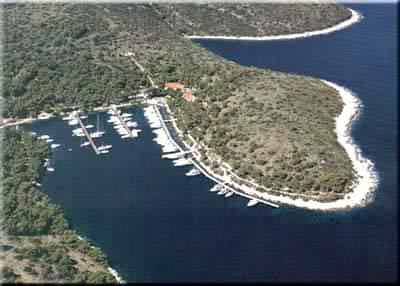 Palmizana ACI Marina is located on the island of Sveti Klement (St. Clement), within the Infernal Islands, in front of the port of Hvar. It has 190 berths; regular connections with Hvar are provided by taxi boats. In the vicinity of the Marina are nice beaches.